Welcome to Ashley Farms Online! 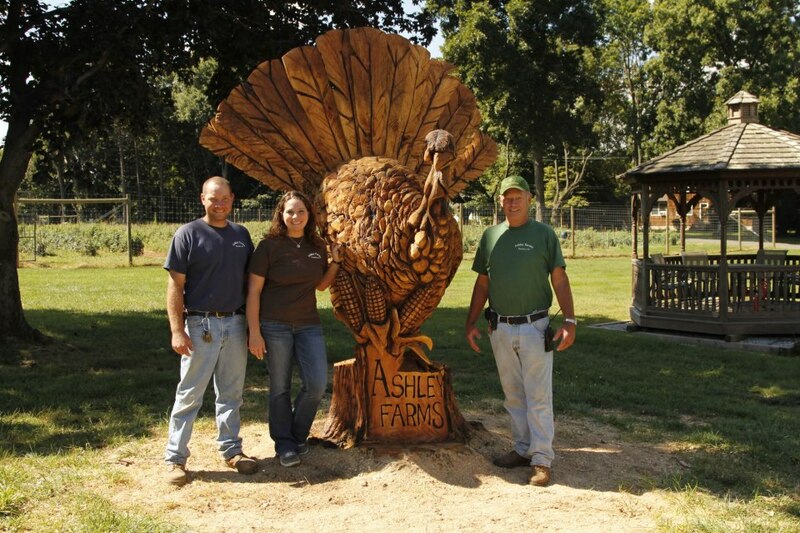 Ashley Farms is a fourth generation family farm. The farm was started in 1948 by Hubert and Muriel Ashley. They started with just a few turkeys on 20 acres. More than 60 years later, the Ashley Family raises 6000 turkeys annually. The Ashleys also grow sweet corn, field corn, tomatoes, pumpkins, peppers, eggplant, lettuces, green beans, squash, cut flowers and lots of other produce. The Ashleys farm about 170 acres, most of which is rented. The Ashleys operate a year round farm market chock full of great produce and other items. Please check out our Products page for a full listing! The Ashley Family has deep roots in the community and have a deeply grounded sense of tradition. 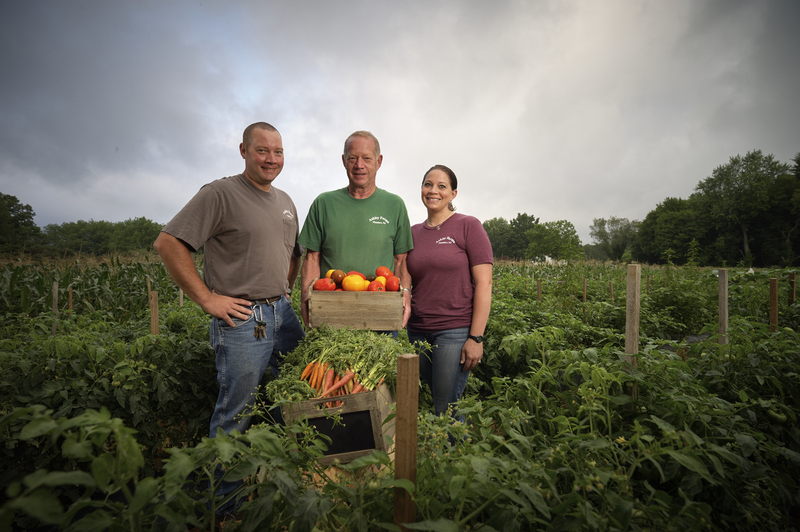 Muriel and Hubert’s son, Larry operates the farm with his grown children Aimee Ashley Myers and Scott Ashley. Aimee and Scott each have young children, the fourth generation of Ashleys!